Excellent CURB APPEAL! 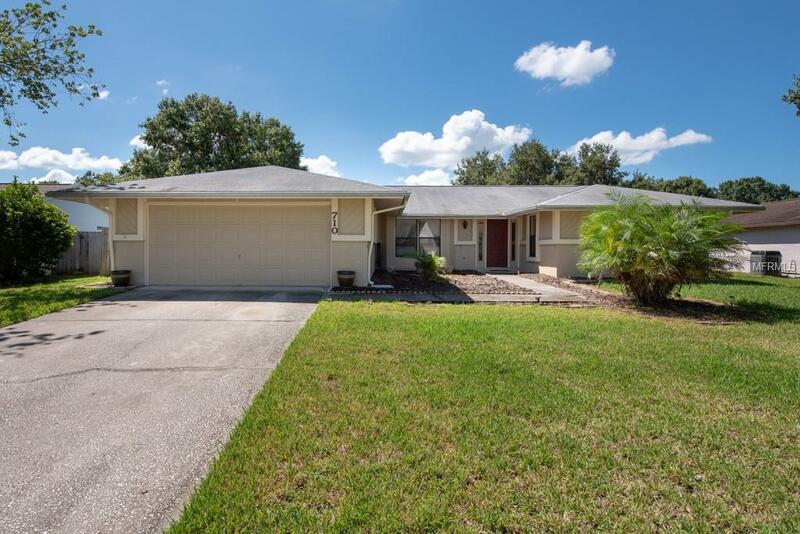 Meticulously MAINTAINED and lovingly cared for 2075 SQ FT 4 bedroom, 2 bath 2 car garage POOL home is tucked away in popular Oldsmar. The tile foyer and Cathedral ceilings give this open floor plan a grand feel. The Gourmet ungraded kitchen has lots of beautiful WOOD cabinets, CORIAN COUNTER tops, stainless/black appliances, brunch area with a terrarium window looking out to the back, closet pantry, pass thru window, backsplash and tile flooring. For fun entertaining it opens to the carpeted living room which has SLIDERS out to the SPARKLING large in ground screen enclosed POOL so you can beat the Florida heat! Enjoy the view of the spacious fenced back yard from the large picture window in the open carpeted dining room. The master suite is carpeted and features a WALK-IN closet and sliders out to the pool! The master bath has GRANITE COUNTER tops, his and her sinks and mirrors and a tub over shower. Bedrooms 1, 2 and 3 are also carpeted and have HUGE DOUBLE closets. Inside laundry with washer and dryer included. New roof in 2005. NO FLOOD insurance required here. Very central with easy access to Hillsborough and Pinellas counties, 20 minutes from Tampa Airport, minutes from Phillipe Park, Lake Tarpon, and only 8.5 miles from Dunedin, Caledisi Island, and Honeymoon Island where you can catch a shuttle and go shell hunting!! The lovely community of Manors of Forest Lakes offers pool, spa, playground, tennis courts, racket ball courts and community dock overlooking the lake. Hurry!